In Jack R. Johnson’s An Animal’s Guide to Earthly Salvation, protagonist Jeffrey Rawlings is an assistant at a veterinary clinic, but as the publisher’s blurb notes, ‘it’s not just the animals that need a cure’. Jeff’s family is rife with dysfunction, from his hypochondriac mother Dorothy, to his sister Caroline with dollar signs for eyes, and not to forget the overbearing Uncle Raymond, who has spent his whole life making Jeff feel bad about himself. The neighbourhood Jeff lives in is no walk in the park either, especially when resident transvestite Scott starts handing drugs to Clara, the runaway whom Jeff suspects of being underage after he has slept with her. All in all, a crazy cast of characters that seems ripe with comedic potential. Oddly though, I think this potential doesn’t get explored fully in the course of the narrative. There is that moment in Chapter Seven where Jeff has brought Clara to visit his mother in the hospital (who was finally warded at the start of the story with an actual life-threatening illness), and at the end, out of Clara’s earshot, Dorothy says to Jeff, ‘She is sweet. But…that girl doesn’t eat enough’, rather than commenting on her chewed and dirty fingernails or her dubious political affiliations. Otherwise, a lot of the humour in An Animal’s Guide to Earthly Salvation involving the human characters tends to come across as overly scripted. Even what should have been the big reveal of Jeff’s mother and Uncle Raymond’s affair in the next chapter feels like it was included for the sake of further (and somewhat predictably) complicating the entanglements of the Rawlings family. 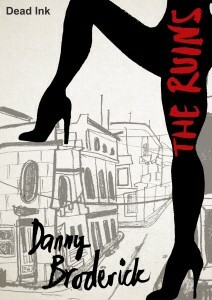 On the other hand, when the animals become involved, the story can rise to a blackly comic level or invoke moments of pathos. Chapter One actually opens promisingly in the former vein, with Jeff trying to break a dead Doberman’s legs, so he can take it out of a cage and to the dumpster. Except he fails and a colleague has to do it for him with a fire extinguisher because ‘That’s the way you have to do it.’ Cue shift of gears in Chapter Two, when Dr. Fitzhugh at the clinic appears to save a German Shepherd through nothing more than the sheer power of prayer. It might be cheesy to some, and Jeff himself is clearly sceptical, but honestly, what kind of person would you have to be in order to hope for that dog to die? 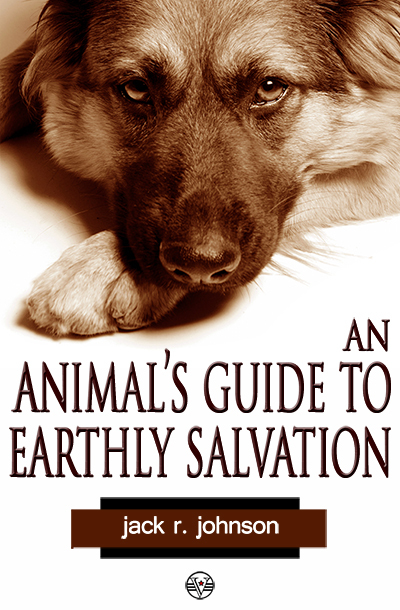 Perhaps the problem with An Animal’s Guide to Earthly Salvation is that after getting through it, a reader might sense that there are two competing stories trying to be told here. One has to do with Jeff’s human relationships, although even the strand of the plot that tracks his relationship with Clara, the most sustained one apart from the drama revolving around Dorothy’s illness, is more a stutter-stop affair than something that organically evolves. The other attempts to tie together animals and philosophy, dropping in a bit of Kierkegaard here and there, while offering up handy aphorisms like ‘Humans are animals that failed’. Yet even Johnson’s breezily readable prose style, capable as it is of propelling readers through the book’s largely episodic structure, is not quite enough to seamlessly stitch the two stories together.